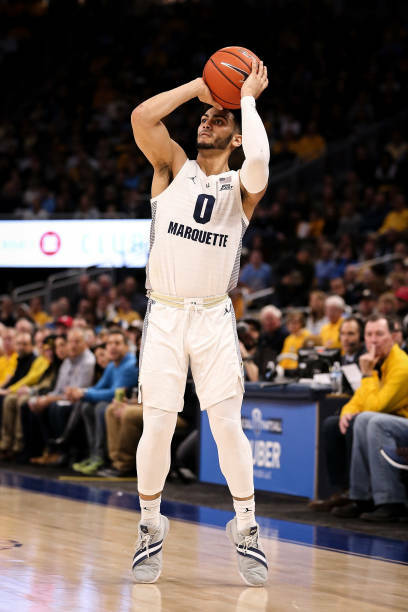 The evolution of Markus Howard continues to grow as he was named as the Big East Player of the Week for the fourth time this season on Monday. Howard led Marquette to victories against Creighton and Seton Hall with 53 and 26 points, respectively. To add to the accolades, Howard was named as Andy Katz’s Player of the Week for NCAA.com. - Georgetown’s James Akinjo had another solid week with 16.5 points per game, 7.5 assists per game and 3.0 rebounds, which warranted his second Big East Freshman of the Week award. - Marquette moved up six spots to No. 15 in the latest Associated Press poll, which is the highest ranking in the Steve Wojciechowski era. Villanova returned to the poll at No. 22 after being left outside the rankings in the last four weeks.